Ultimately in shark week, whether you’re most like a shark or whale will depend on your objectives and nature of your business. In fact, both species are critical to the ecosystem, just like most B2B organizations need an optimal mix of both broad-reaching and targeted strategies to achieve their different goals. Let see how they differ in each goals in sales and marketing. Whales eat by swimming with their mouths open toward their prey during our shark week. Both food and water enter their mouths, and they squeeze out the water out through their baleen. Similarly, with a broad-based marketing approach, marketers use different campaigns to generate leads, including a variety of inbound tactics such as paid advertising, SEO, and webinars, which are then filtered by scoring systems based on desirable attributes determined by audience personas. On the other hand during our shark week, when a shark is hungry, it uses its different senses to hunt down its prey, rather than waiting for the prey to flow through its mouth. Just like sharks, marketers employing an account-based marketing approach use different signals to identify their targets and directly market to them. These might be the “big fish” accounts—accounts that are likely to results in large deals, or accounts that fit specific parameters like company size. 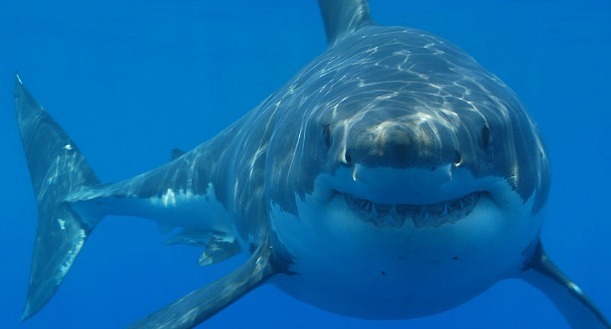 During our shark week, in Account Based Marketing (ABM), since the focus is on a specific set of accounts, marketing efforts are outbound and personalized, tailoring specific content to those targets. Some examples include direct mail, database emails, and calling campaigns. In ABM, there is a smaller need for filtering since that has been done during the account selection phase, although leads are still scored based on their decision-making ability and other factors. There are plenty of fish in the sea, but the key to reeling them in lies in your marketing strategy during our shark week. Whether you choose to be a shark or whale or a hybrid of both depends on your goals. At the end of the day, one thing is for certain—your customer is the king of the sea. And while this does not apply to the unsuspecting and ill-fated prey of sharks and whales, prioritizing customer experience above all else is an essential practice to be successful. This entry was posted in Appointment Setting, b2b appointment setting, Event Telemarketing, Lead Generation and tagged appointment setting, b2b lead generation, b2b leads, b2b marketers, b2b marketing, b2b sales leads, B2B telemarketing, lead generation, social media marketing by admin. Bookmark the permalink.